Thank you for visiting Brandon Hyundai! Our dealership is proud to offer an extensive selection of new Hyundai vehicles available for purchase or lease perfect for Tampa drivers like you! We also offer a huge selection of certified pre-owned Hyundai’s and quality used vehicles from all makes and models at a great price. While you’re here you can shop online for our best price on our entire new vehicles inventory, schedule a test drive, check out our service and parts specials or see your trade value. If you have any questions feel free to contact one of our team members through the chat window, by filling out the form or giving us a call. If you prefer to come see us in person, stop by Brandon Hyundai today! Once you visit your preferred Hyundai dealer in Tampa, you’ll be surprised at just how much you can really save! Check out our inventory of new Hyundai’s for sale. Our dealership proudly serves drivers from Tampa, Brandon, Lakeland, Clearwater, Riverview and the surrounding areas in Florida. Want more savings? You’re in luck! Brandon Hyundai has an extensive selection of certified pre-owned Hyundai’s and quality used cars from all makes and models! Choose from late-model CPO Hyundai’s for a great value, all certified and meticulously inspected, or save even more with our selection of used models from top brands like Kia, Mazda, Mitsubishi, RAM, Nissan and more! We even have a premium inventory of select luxury brands like Acura, BMW, Cadillac, INFINITI, Mercedes-Benz, and Porsche for thousands less! Haven’t checked out our used inventory yet? Start shopping and start saving here! You can also come in and take a look at our selection in person. Stop by Tampa’s preferred Hyundai dealer for used cars today! Whether it's a new car purchase or a new car lease, Tampa drivers prefer Brandon Hyundai for all of their new car needs! That’s because we offer Hyundai’s most popular models in stock and online! Shop over 240 new Hyundai models right from the comfort of your home today. Whether you want your next Hyundai lease to be a sporty sedan like the Hyundai Accent, Elantra GT, Sonata or you prefer a more spacious SUV like the Kona, Tucson, Santa Fe or Santa Fe Sport, Brandon Hyundai Tampa has a great lease program for you! Start shopping online now and start saving! We also have a team of experts ready to help you in person. Stop by today and let one of our team members help you find your next Hyundai vehicle lease today! Finance Center Get Pre-Approved Questions? Brandon Hyundai has financing options for every budget! Stop by our finance department today and let our finance team help you get your car loan today. 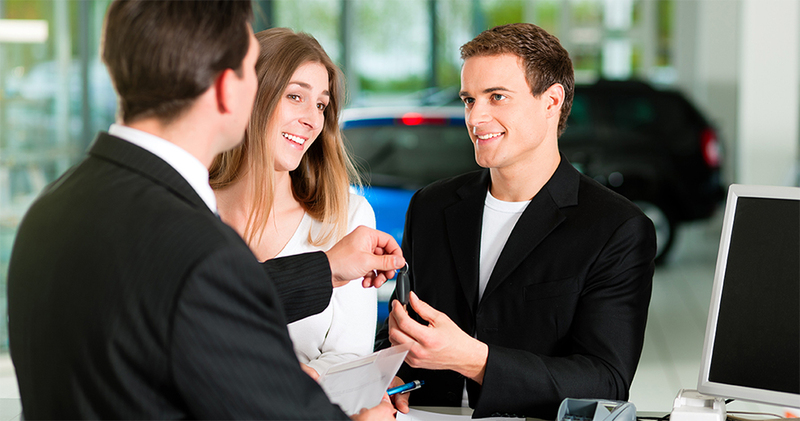 Our experts work with all types of credit situations and can help you secure the auto loan you need to get the car you deserve. Don’t let your credit get in the way of the reliable Hyundai you and your family deserve. We can work with your budget and help you get you in an option you can afford. If you’re not sure whether you want to come in for guidance just yet, consider starting the pre-approval process online. Our form is short and simple, and doesn’t require information you may not always want to provide. Within minutes you’ll know if you’re pre-approved. Remember, you can always do this process in person as well. Our team is very knowledgeable and friendly and will work with you and help you through the entire process. Check out our Payment Calculator in the Shopping Tools to get an idea of what your monthly payment will be. Knowing where you stand in terms of auto loan approval will give you the added peace of mind of knowing just what you can afford when shopping. If you have any questions don’t hesitate to give us a call or send us a message. We hope to hear from you soon. Let the experts at Brandon Hyundai care for your car, crossover or SUV! Our state-of-the-art service center is fully staffed with factory-trained technicians that can handle everything from oil change service to more difficult auto repairs. Our Hyundai dealership also offers a number of specials and promotions to help you save even more, so you can keep your Hyundai running in top shape for less. Plus, you can always stop by our fully stocked Hyundai parts department for genuine Hyundai parts and accessories. Stop by Brandon Hyundai Service Center today and experience the difference! Our dealership proudly serves drivers from Tampa, Brandon, Lakeland, Clearwater, Riverview and the surrounding areas in Tampa Bay Florida.